So, before I fell super sick, we were working on about 2463 projects, all of which are in various degrees of planning or completion. Although most of the daily “stuff the Mama does” has gone undone in my absence, we have been making some progress on some other things. The tractor is once again operational. We’ve upgraded the starter and alternator to a 12 Volt system, and as a result had to put in a new ignition switch as well. Figured if we were going to replace it, we might as well prevent the problem from occurring again. 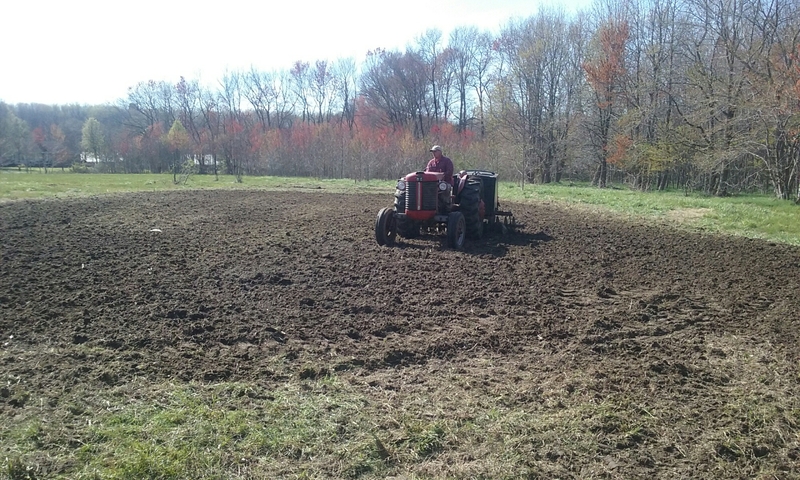 Once my honey got all that done, the first of the produce beds got disced, so we are one step closer to planting! If the weather would only cooperate a little more, it would be lovely. We had a series of unexpected crazy weather days last week. As in, literally 68 degrees one day and wet slushy snow the very next morning. We lost some plant starts, not enough to make me cry, but enough that it was a loss. One of our favorite local farms, Bennett Orchards, got hit far harder than we did. After a six hour stint of temps in the 20’s, despite smudge pots and helicopters, they lost their ENTIRE 2016 peach crop. We pick and buy bushels of peaches and blueberries from them each year for canning, I’ll miss them a lot this year. Thankfully, so far it looks as if the blueberries came through the freeze. And our Flemish Giant Rabbit doe appears to have some surprises in store for us as well. 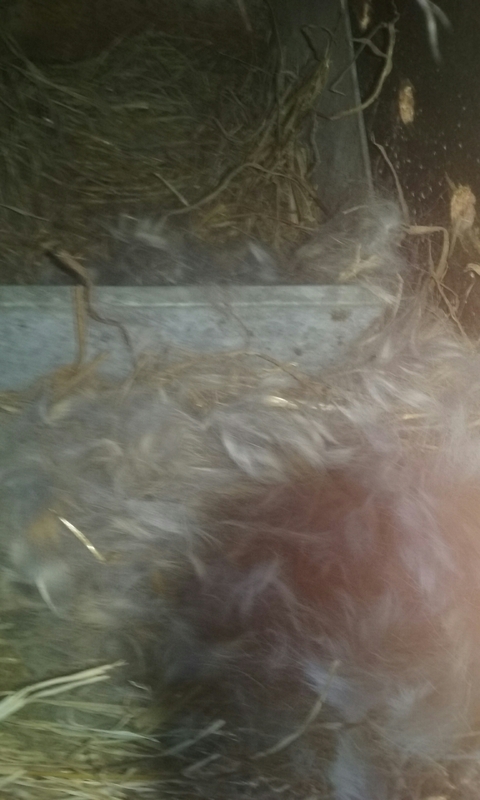 She has taken up fur pulling and nesting, and trying to rip my fingers from my hands when I feed, water and clean in her hutch, so it seems she may have already been bred and kits may be imminent. She’s not typically nasty, the rabbit growling and snarling are kind of scary. The off-the-farm work boss called us last week to remove a large swing set from one of their rental properties, due to concerns about its age, insurance, and the potential for injury to some vacationer’s child. Since the components of the swing set were pretty well thrashed, we decided to save the frame to build a new chicken coop / tractor. I’m hoping to get a jump on that project this weekend, we’ll see how I feel. Ryan’s personal 7-egg incubator that he waited so patiently for has epically failed to hatch anything at all. It will likely be trashed after one more attempt with just a couple of eggs to insure that it’s incubator error and not ours. That was a disappointment, but he took it in stride. Having new babies hatching in the big one softened the blow. 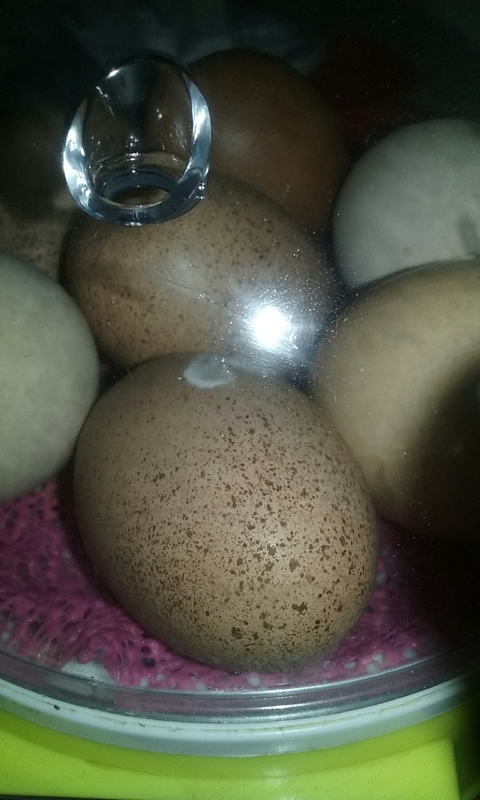 The season’s next large incubator hatch is due Sunday. We’ve been peddling a few chicks from home, it’s been nice to have clients and visitors to the farm again. With me being sick, that extra few dollars here and there has sure been a help, too. Our first two hatching egg sales on Ebay have been completed (with a third preparing to sell in just a few moments) and Ry’s birds now hopefully have offspring growing in Massachusetts and Oakland, California at a school! We have some new breeds of chickens / chicks. Some Silkies, Lavender Aracaunas, and Blue Laced Red Wyandotte bantams have arrived! The first four of our Black Copper Marans chicks are doing quite well, too! In our most exciting and happy news, one of my grown children’s families will be coming on the 7th of next month for an extended stay. The babies are invading! They’ve been toying with the idea of a permanent move up this way for quite some time, and recent events in the neighborhood they live in gave them a few more reasons. Dad’s already secured comparable work locally, and my girl and I are making plans for some much needed support for her, and possibly school. I’m excited to have a partner for the shop, and it looks like her artistic and crafty talents may get a pretty serious workout this year. Additionally, the extra hands around here will be a blessed relief, and I think we will make much more progress than I planned on for this year! Now, to figure out where to put six more bodies in this camp! Hope everyone is enjoying the change of seasons, hope things are going well for all! I find zealotry in all its forms completely distasteful. There is no faster way to completely dissuade me from a point of view than to try and ram it down my throat. This is on my mind this morning because I’m having a bit of a dilemma. I respect a person having courage of conviction, and I pride myself on being a somewhat informed and educated person. I welcome new learning experiences of all sorts, and dissenting viewpoints. However, at the end of the day, it’s my right to decide whether I agree or disagree, and once I’ve done that, continued argument isn’t likely to do anything but push me farther from your school of thought. Having said that, it’s important to qualify that we’re not “churchy” people…but we are “faith” people. I had so much church foisted on me by two warring factions as a child, I vowed solemnly not to do that to my own children. I have a wonderful relationship with the God of my own understanding. He may or may not be similar to yours, and frankly, I don’t care. I talk to him, he answers me in his own time and way, and my attendance in a house of worship of any denomination isn’t a requirement for that relationship. And that is all I have to say about that. Because I believe it should be a personal matter, and advertising your affiliation with or status within any religion, house of religion, or organization doesn’t make you any better at being a decent human than anyone else, myself included. SO back to my dilemma. My eight year old is a Cub Scout. He enjoys it, it’s a positive thing in his life, we enjoy the family based activities. As long as that continues to be the case, we’ll continue to be a part of the Scouts program. This week, Ryan is the “Star Student” in his classroom. This affords the classroom monarch a few privileges, one of which is to share something with his class that he enjoys. A toy, book, photographs, etc. With zero direction from either us or the Scouts, Ryan went to his teacher and asked if he could wear his scout uniform instead of his school uniform today, and share about some of the cool things he’s done in Scouts. She’s consented. So I’m currently finishing up laundering said uniform, but I’m doing so with more than a few misgivings. You see, enrollment in Scouts programs is down. A lot. Some because of unfortunate events in the news in past years, but a good portion of it can be attributed to the fact that the Scouts aren’t allowed in most schools anymore. While there used to be a Scouts signup table at every school open house, winter carnival, etc…they’re now conspicuously absent. You see, the Scouts, even though it’s a non-denominational organization, has some God going on. God’s in the book, the Scout Oath, and “Scout Sunday” involves attending your sponsoring or local church one Sunday per calendar year. (Completely optional) It’s not a church program, it’s a community program. Boys and their families are welcome to take part in the program with any or no religious affiliation. So, of course…there’s someone, somewhere, everywhere… who has decided to make noise about that. One parental meltdown is all it takes for Scouting to be unwelcome at a school. One parent who feels that the mere mention or presence of a program that even makes mention of God is an effort to “indoctrinate” their child, separation of church and state, blah, blah, blah. It’s absurdly funny to me that the most adamant of these objectors are most often the people who are so gung-ho about tolerance for and about protecting everyone’s right to their own feelings and beliefs. They tend to be more intolerant than anyone I’ve ever seen. The right to one’s own feelings and beliefs only applies for them when it doesn’t conflict with their own agenda. Am I the only one who sees this as complete hypocrisy? This is how I’ve tried to raise my kids. To know that…Not everyone is like you. And that’s ok. It’s their right to be different just as much as it’s yours. It’s for you to decide what you believe in and how you want to carry yourself as a person. So, I’m sending my kid to school today in his Scouts uniform. With the dread that I’ll get a phone call later. That my little boy will be confused and hurt and not understand what is possibly threatening or objectionable about a program that he has fun in, that teaches him to be a good person, a responsible citizen, and a good steward of the environment. That he will come home feeling there’s something bad or wrong about being a Scout. That my son’s teacher will be called away from her class for a stern talking to, and that I’ll get a phone call citing the School dress code and uniform policy and have to take my child a proper plain polo shirt. I’m steeling myself for that, because I’m not quite sure how gracefully I’ll handle it. Tact and vocal filtering really aren’t my strong suit. Especially where my wee ones are involved. I miss America. I don’t know when we became a land so hyper focused on insulating everyone else’s little baby feelings that we became afraid to have our own. There’s something that feels inherently wrong with that. I really miss America. The Fun E Farm on Multiplying Like Rabbits. cmdaven on Multiplying Like Rabbits. 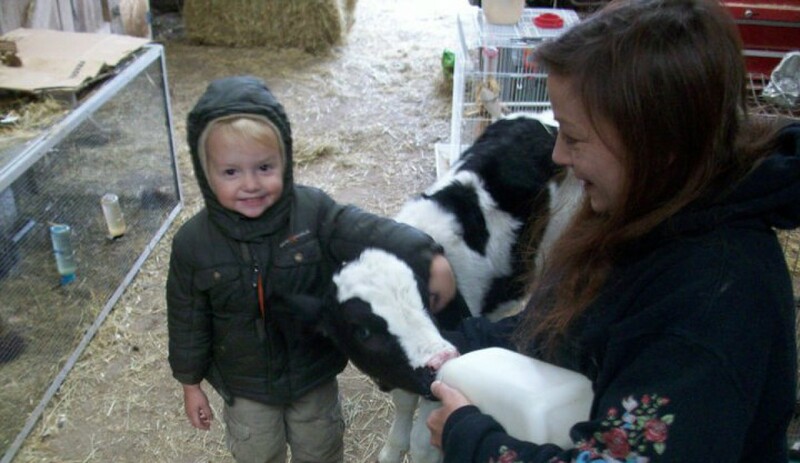 Fun E Farm Blog at WordPress.com.